Wisconsin jury blames TCS and Tata America International Corp.
NEW YORK: In the worst legal verdict ever for the Indian conglomerate Tata Group, a Wisconsin federal jury has slapped it with $940 million trade secrets verdict, including $700 million in punitive damages, for stealing information related to Epic Systems Corp.’s healthcare software, on Friday. Tata Consultancy Services Ltd. and Tata America International Corp. must pay $240 million to Wisconsin-based Epic for ripping off its software, along with $700 million in punitive damages, according to the verdict, reported Law360. The verdict, reached after two weeks, was in the court of U.S. District Judge William Conley. Epic Systems had accused the Tata units of stealing documents and other confidential information tied to the software it builds for health care companies to manage billing, insurance benefits management and referral services, according to case filings. In a lawsuit filed Oct. 31, 2014, in U.S. District Court in Madison and amended in January and December 2015, Epic Services accused Tata Consultancy Services, of Mumbai, and its U.S. subsidiary, Tata America International Corp., of New York, of “brazenly stealing the trade secrets, confidential information, documents and data” belonging to Epic, reported Madison.com. Tata reviewed Epic’s intellectual property under the pretense of doing consulting work for an Epic client, the Wisconsin company said. Epic contended the theft occurred from about 2012 to 2014 when Tata employees worked as consultants to help Kaiser Permanente in Portland, Oregon, use its Epic electronic health records software. According to the 40-page complaint, Tata employees fraudulently accessed Epic documents and downloaded at least 6,477 of them, containing information that could be used to benefit Tata’s own health care software, Med Mantra. The lawsuit accused Tata of computer fraud, stealing trade secrets, breach of contract and damage to Epic’s business. Epic said it has “incurred substantial damages”. It didn’t specify a dollar amount in the complaint. Epic, founded in 1979, has 9,500 employees and had revenues of $2.02 billion in 2015. 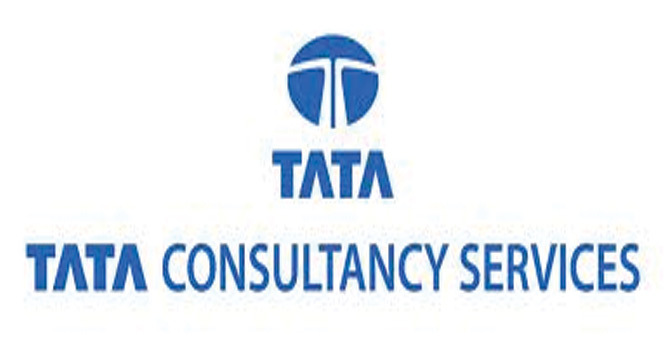 Tata Consultancy, founded in 1968, has 324,000 employees and $15.5 billion in 2015 revenues, according to the company’s website. Tata Group, the conglomerate under whose umbrella the consultancy and American units operate, is one of the largest in India. Epic Systems is represented by Jenner & Block LLP and Quarles & Brady LLP. Tata is represented by Kelley Drye & Warren LLP and Stafford Rosenbaum LLP. There were no reactions from either law firms. Copy cat techniques has been the centre of all Indian engineering and other industrial development . the typical gujarati and marwadi entrepreneurs never invested any money in design or innivation or product development, they just visited industrial fairs and copied japanese. european and american products and systems. Take any Indian software services firms they never invest in people development or research they just copy. When hiring people also same impunity is displayed, the first goal will be copy the expertise of the expert and get rid off the expert at the earliest. This is one big reason real domain experts are such rarity in the Indian IT industry. The claim that theri processes encapsulate the domain expertise is a hollow companies. Tier 2 Indian It services are still worse off in this area. Will other companies trust TCS with their trade secrets now, like Dow and DuPont? The wolf is in the hen house. That’s quite common. Indian companies also install team viewer a system for browsing remote computer. They can then take screenshots from another system. They could also install a screen recording software on the other system. Or if they’re on a budget simply use a cell phone to record from a laptop. Contractors like these are riddled with biz analysts who’ll then create a “new” document and present to a competitor. Nobody will ever know what is stolen. I’ve seen rfp documents with big name US consultancy names still in the properties file.